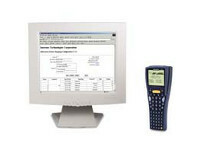 The Intermec® dcBrowserTM Gateway is a software-based gateway for the Windows NT operating system. The dcBrowser (Data Collection Browser) Gateway enables you to use standard web development tools to create powerful new enterprise data collection applications. Unlike other browsing applications available today, necessary features such as scanning and printing are supported by the Intermec dcBrowser Gateway. 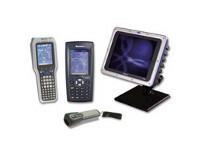 The dcBrowser Gateway is optimized for data collection applications on small industrial clients such as the graphics-based Intermec 700, 5020 or 5023 devices and on character-based terminals such as the Intermec 2020, 2400 family and 6400. It is intended for vertical business applications as opposed to random web browsing. The dcBrowser Gateway allows developers to use common web-based application development tools they already are familiar with for desktop applications and extend it to mobile computing. 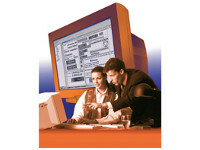 Within seconds, standard HTML program screens and transferred to text-based only messages and are viewable on one, or multiple, mobile computers with the ability to input scan data. The dcBrowser Gateway allows the large amounts of graphical information previously required by traditional browsers to be replaced by a small amount of text – greatly streamlining radio frequency bandwidth. 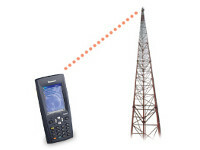 This increases both application throughput and terminal battery life achieving enhanced system performance overall. Today, web servers are available for nearly every host platform. Companies no longer require a mainframe or even a midsize computer to run all their enterprise functions. With the help of dcBrowser Gateway smaller applications can be hosted by PC-sized platforms easily and reliably. The dcBrowser Gateway builds the bridge between TE and HTML. Web technologies (i.e. servers, browsers, and web development tools) are well established and here to stay for the foreseeable future. Using the dcBrowser Gateway, you can easily extend systems that bring legacy data to desktop browsers and bring that same information to data collection computers. Software updates and administrative tasks are performed instantly via the Internet and IP networks, lowering development and support costs and increasing service quality to users.